Real anxious to see something official on the JSF, I've become quite a fan of them. MisterFubar wrote: Real anxious to see something official on the JSF, I've become quite a fan of them. I'm a big fan of any $25.00 set this day in age! Are the Cube Dudes preassembled (glued?) or a bag of parts and instructions? MWahahahaha!! $75?!?!? Wow, I haven't literally laughed out loud in a while, but I certainly got a kick out of this one. I thought $60 for three mini figs in a diorama was pricey, but this takes the cake hands down being that they're not minifigs. I know it rings out at $15 per figure, but it's just not doing it for me. Awesome set and boxart, but totally overprized. I'm not surprised by the price on this at all. 1. Miniscule production run: 450 boxes blows the economy of scale away. Production has to be in the tens of thousands to get prices down where we expect them. 2. Part selection: $15 each is the actual cost of the parts in the model. After building my own CubeDudes and pricing the parts out on Bricklink, the parts for a CubeDude run between $12-18. This is due to the high number of specialized and hard-to-find parts. Basically, you're getting the packaging and instructions for free and buying the parts at cost. 3. Con exclusive: of course it's going to be high-priced! SuperDave wrote: I'm not surprised by the price on this at all. 1. Miniscule production run: 450 boxes blows the economy of scale away. I believe it's 450 available per day, but your point still stands that we're not talking about a massive production run here. 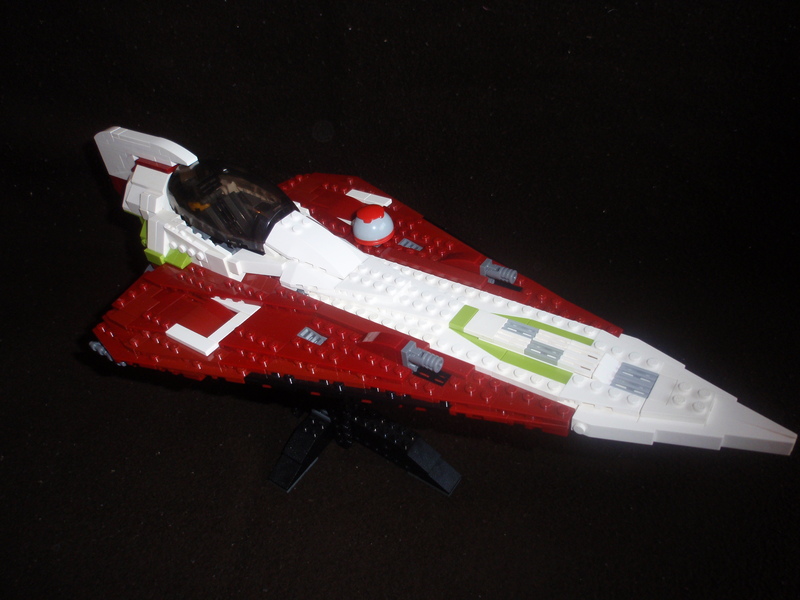 Over at EB, whung found some images of the new starfighter, and yes, it is UCS. Seeing that makes me happy. I'm glad it's not for the Clone Wars line. That is sweet. I want that. That's quite the large droid head. Indeed, that looks like a Hasbro action figure scale dome. Makes me laugh thinking that the X-Wing and Y-Wing UCS sets used a standard minifig droid, and now this one comes out with a larger droid dome. Was this announced as UCS and I missed the memo? This is awesome! Ugh, it's $100 for 620 or so pieces. Way to screw us over again, TLC. Although it wouldn't surprise me if it was, who said it was $100? Chief wrote: Was this announced as UCS and I missed the memo? This is awesome! It might just be a "Special Edition" like the N-1 was. I would be interested in a CUBEDUDE set if anyone can purchase it for me. Also any minifig scale set available. I will gladly pay ahead and for your time.